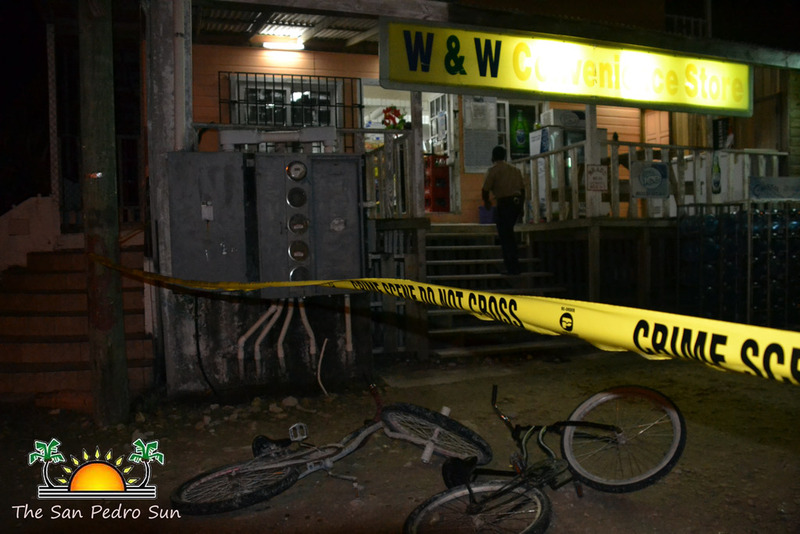 On Saturday, December 21st at around 8PM, San Pedro Police responded to a distress call of a robbery from Wei Ran Chen, 44-year-old owner of W&W Convenience Store located in the DFC area of San Pedro Town. According to reports from Chen, at 7:30PM two male persons wearing masks entered his store and demanded money. One person was armed with a handgun while the other person carried no arms. The armed assailant pointed the gun at Chen wife’s, Wei Qing Zhu, while the other person jumped behind the counter to search in their cash drawer. Witnessing the events was Chen’s son, Jun Chen, who quickly alerted his father of what was occurring at the front of the shop. Chen took out his licensed 9mm Luger pistol and fired several shots at the direction of the robbers, who were still inside the store. The armed robber responded firing shots towards the Chen family. The assailants fired about four to five rounds then fled the store. Police arrived at the crime scene at around 8:30PM to further investigate the incident, canvassing the area for signs of the two robbers. Upon searching south of the store’s location, police found the body of a Creole male lying on the ground with his face covered with a brown shirt. Upon closer inspection it was noted that the man had suffered of a single gunshot wound to the left side of the chest. The man was later identified as the unarmed robber. On Monday, December 23rd police learned the identity of the deceased as Ajlan Raheem Requena, 21 years of age resident of Santiago Juan Layout, San Ignacio Town. Further investigation revealed that Requena had travelled to San Pedro Town on Thursday, December 19th for unknown reasons. Requena’s family has been contacted and is to receive the body after a postmortem examination is carried out on Tuesday, December 24th. The second robber managed to escape with an undisclosed amount of money from the store and, police are still searching for him. 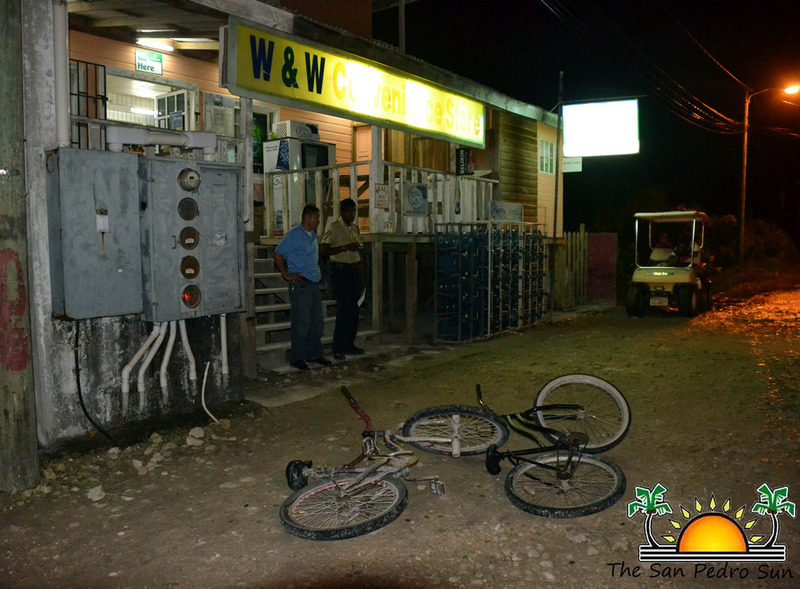 Initial investigations revealed that the assailants reached the store on stolen bicycles. Any persons with information that can lead to an arrest are asked to contact the San Pedro Police Station at phone number 206-2022 or Crime Stoppers at 0-800-922-8477.